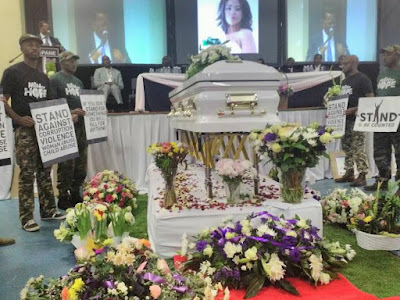 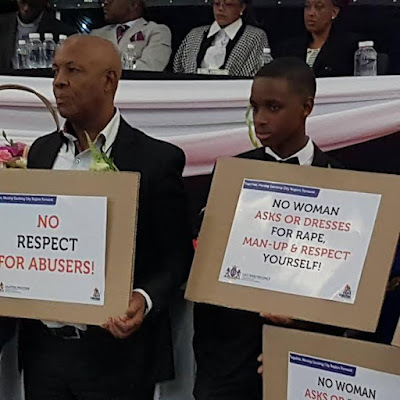 The Funeral of Karabo Mokoena, the 22 year old South African young lady who was murdered and then burnt by her boyfriend, Sandile Mantsoe, is currently taking place in the Diepkloof hall in Soweto, South Africa. 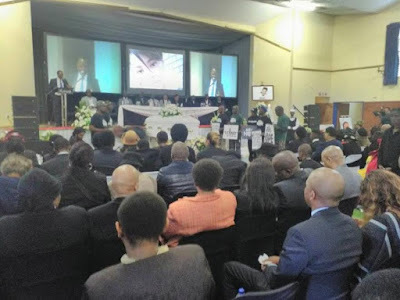 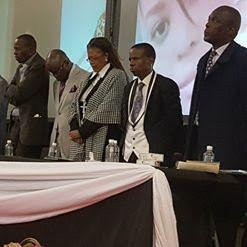 Government officials, clergymen and others joined her father, Tsepho Mokoena, at the Funeral. 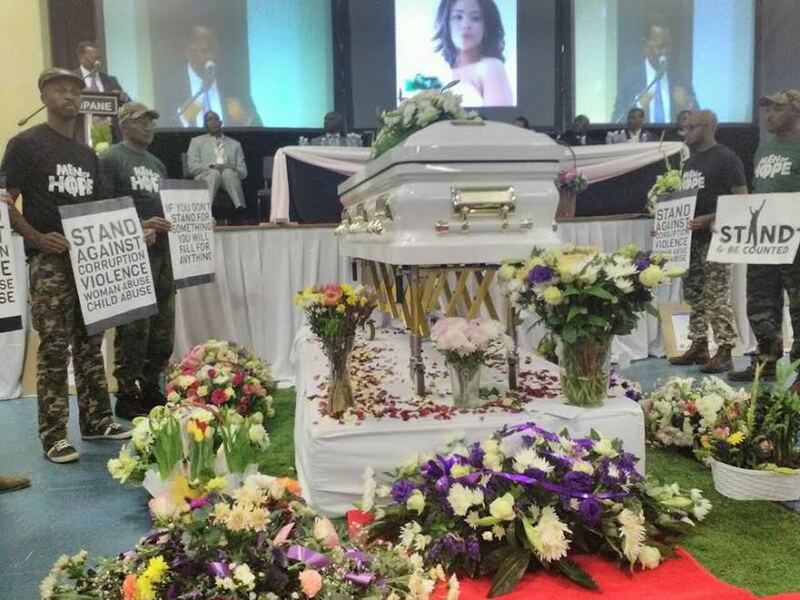 She will be laid to rest at Westpark Cemetery in Johannesburg. 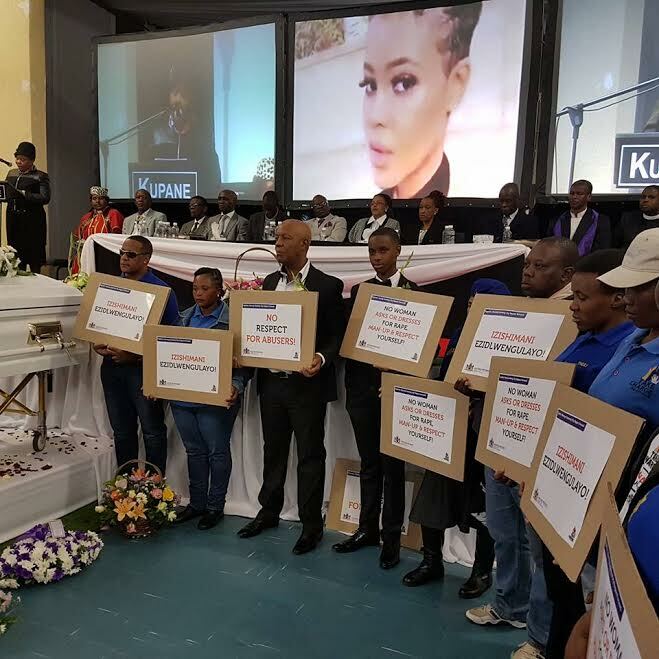 Karabo was found dead on April 29th. 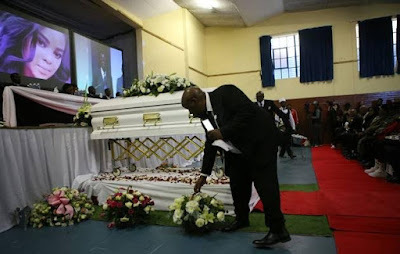 Her body was discovered burnt beyond recognition in a ditch in Lyndhurst.